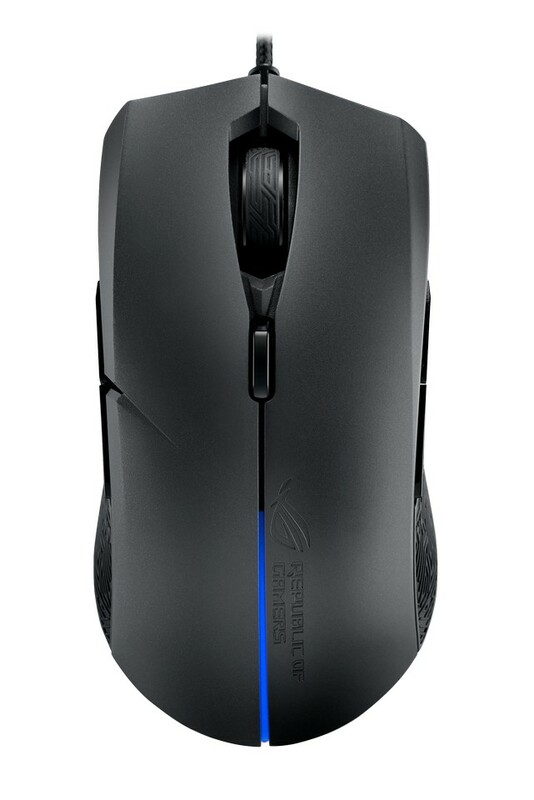 TAIPEI, Taiwan, June 7, 2017 — ASUS Republic of Gamers (ROG) today announced Strix Evolve, an optical gaming mouse that offers four different ergonomic shapes via easily changeable top covers to ensure the best fit and comfort for both right- and left-handed gamers. Together with ASUS Aura RGB lighting that offers a personalized look and synchronizes with other Aura-enabled products, Strix Evolve gives gamers complete control with comfort and style. Flexible customization options available in the ROG Armoury software let gamers change mouse performance settings, customize Aura RGB lighting effects, save personalized mouse profiles and more — all via an intuitive interface. 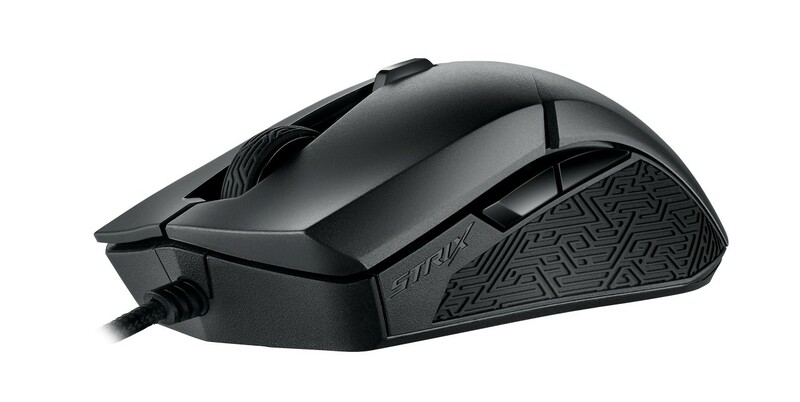 Strix Evolve is built with numerous gaming-focused design details that provide better experiences for gamers, including durable Omron® switches that are rated to 50 million clicks, a 7200 DPI optical sensor for fast and accurate tracking, a DPI switch for on-the-fly sensitivity adjustments, and stylish Mayan-inspired rubber side panels for improved grip. Proper mouse fit is crucial to avoid hand, finger, and wrist strain during marathon gaming sessions. ROG Strix Evolve offers all types of gamers the best fit and comfort with modular top covers that can be changed to enable four different ergonomic styles — ergonomic right-handed, ergonomic left-handed, ambidextrous high-profile, and ambidextrous low-profile. The top covers attach magnetically to Strix Evolve, allowing them to be changed easily on the fly, so gamers can quickly find the style that works best for them. ROG Strix Evolve has customizable ASUS Aura RGB lighting technology that lets gamers choose from millions of colors and four different lighting effects to create their own unique look. Built-in Aura Sync support enables lighting synchronization between Strix Evolve, ASUS motherboards, and other Aura Sync-enabled products to create stunning, unified lighting themes for a system that really shines. Additionally, gamers can quickly synchronize lighting between Strix Evolve and the ROG Claymore keyboard with a press of the keyboard’s dedicated ROG Sync hotkey. The intuitive ROG Armoury software gives gamers complete control over Strix Evolve’s operation, including the ability to customize Aura RGB lighting effects, create button mappings, adjust performance and surface calibration settings, save mouse profiles, and more. The design of ROG Strix Evolve puts gamers’ needs for performance and optimal gaming experiences first. 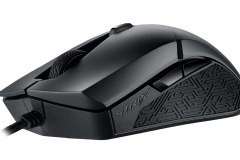 Built with high-quality Omron switches that are rated to at least 50 million clicks, Strix Evolve has a durable design built to withstand intense gaming and provide years of dependable service. Its 7200 DPI optical sensor tracks as fast as 150 inches per second (IPS), and has a maximum of 30g of acceleration and a 1000Hz USB polling rate for fast and accurate movement. A DPI switch lets gamers make on-the-fly sensitivity adjustments to suit different gaming scenarios without the need to open a separate software window that takes them out of the action. 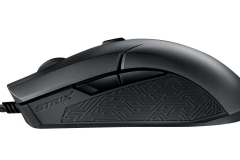 Mayan-inspired rubber side panels enhance Strix Evolve’s stylish gaming aesthetics while also providing a more secure and comfortable grip — especially for gamers who lift the mouse while gaming. 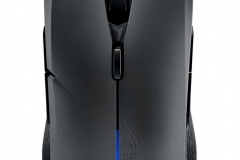 ASUS ROG Strix Evolve will be available from July 2017 in Australia at the estimated street price of AUD$99.00. Aura Sync lighting synchronization with ASUS motherboards, ROG GR8 II mini gaming PC, graphics cards and peripherals is enabled and controlled via ASUS Aura software. Lighting synchronization between ROG Strix Evolve and ROG Claymore is enabled and controlled via ROG Armoury software. Previous articleLogitech G910 Orion Spark/Spectrum – What gives?